Brian Lima, MD, and his colleagues perform Long Island's first heart transplant in February 2018. Outside of American football, heart transplants are the ultimate team sport. Coordination. Concentration. Execution. Minutes make a difference and the slightest error can throw the whole process awry. As critical and time sensitive as the procedure may be, heart transplants are considered the gold standard for people with end-stage heart failure. And despite a 90-percent one-year survival rate and median survival of over a decade, the field is still limited by the number of donors. There are several workarounds currently in place to remedy this shortfall, such as a refined donor process, updated allocation policy, infusion of technology and even the opioid epidemic. These have disrupted the field and improved the outlook for more than 3,800 people — including 337 New Yorkers — waiting for a heart to become available. Here are five factors influencing heart transplants. Heart procurement has traditionally entailed placing a non-functioning donor heart on ice. Studies are now underway in the US evaluating the use of TransMedic’s “Heart in a Box” or the Organ Care System (OCS). Instead of cold ischemic storage, the system revives donor hearts to a beating state outside of the body during transport. Along with the heart, you take a liter or liter and a half of blood from the donor and attach the blood and heart to the circuit in the box, which is then maintained at an appropriate temperature. You can watch the heart function as you travel. The device has been used in more than 200 transplants in a number of countries with outcomes on par with those that used the traditional cooling method. Using the OCS, clinicians can test a questionable heart that may recover viability, but would have otherwise been rejected. It also promises to expand the time a heart can remain viable, which will enlarge a donor pool that is in dire need of a boost. Finally, OCS enables the use of hearts from DCD (donation after cardiac death) donors, which can also greatly increase donations. Since 2006, the donor allocation system has been flawed — nearly half of patients waiting for a heart were listed in the highest status. Who gets the organ then? It failed to capture the severity of one’s disease. Combine that with the proliferation of short-term modalities like left-ventricular assist device (LVAD), extracorporeal membrane oxygenation (ECMO) and others and the list of those considered “next up” almost quadrupled. The United Network for Organ Sharing (UNOS) revamped the allocation system as a solution in October 2018 to match donor hearts with sickest people first. The former three-tier system expanded to six and features more specific guidelines for each that identify the most medically urgent patients. Positive feedback has been given so far for the new tiers, which give ECMO patients top priority. The rules also acknowledge the positive outcomes for people using bridge-technologies like VADs and other mechanical circulatory supports devices (MCSDs). UNOS plans to evaluate the new guidelines this month. While a transplant may not yet be the appropriate treatment for some, there are options. 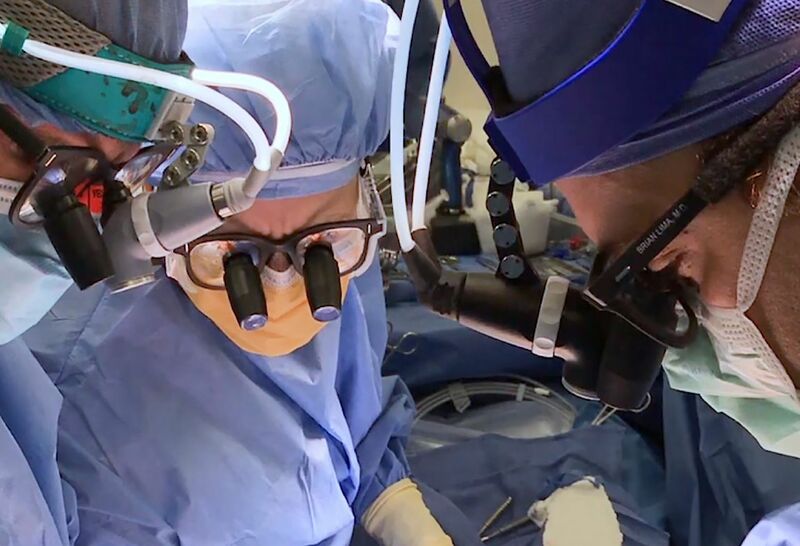 The most popular — LVAD — has proven to be a very effective and durable way to diffuse heart failure and serve as a bridge for people who need a transplant but are too sick and can’t wait. Heart failure for 75-80 percent of patients is endured on the left side of the heart. The LVAD is a battery-operated, surgically implanted pump that helps the left ventricle distribute blood to the rest of the body. Impella heart pump: A percutaneously inserted ventricular assist device that has become a viable option for people facing severe heart failure, cardiogenic shock and high-risk percutaneous intervention (PCI). ECMO: Circulates blood through an artificial lung back into the bloodstream. The cardiopulmonary bypass technique provides long-term breathing and heart support. ECMO is a popular treatment for children, but can be used for adults. Some organizations, like Northwell Health, are utilizing ECMO-on-the-go transport machines. Artificial hearts: A total artificial heart is a surgically installed pump that replaces diseased or damaged lower chamber ventricles, which help circulate blood throughout the body. The artificial heart is controlled by external devices and includes two pumps — one for each the left and right atrium. 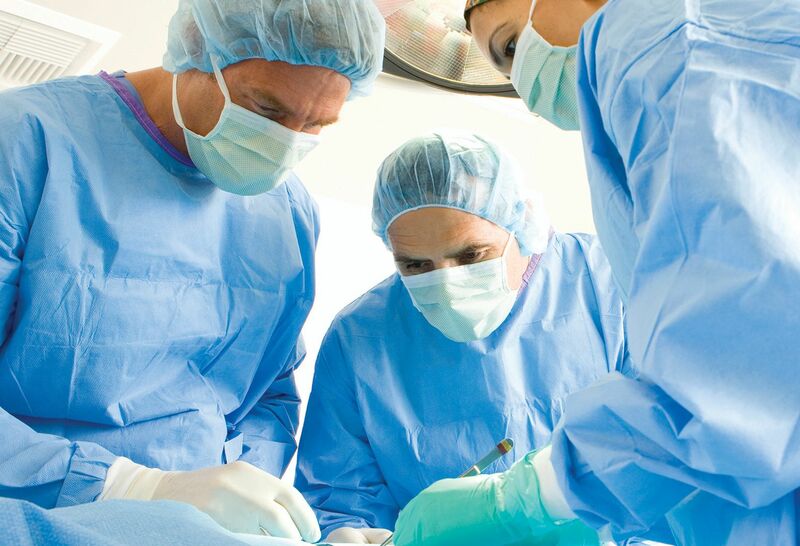 It is a complicated surgery that most organizations are not currently performing. Led by a nationally renowned team, our Heart Hospital features one of New York’s largest cardiothoracic surgery and interventional cardiology programs. 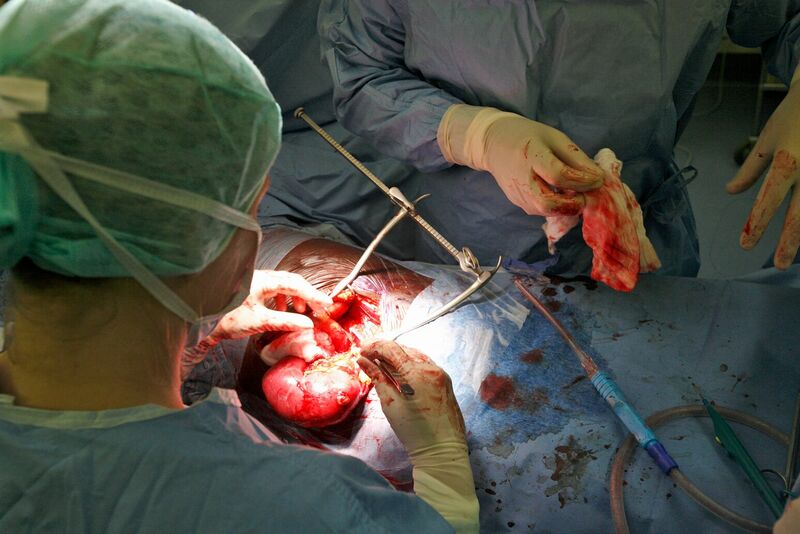 Perhaps the most controversial aspect of heart transplants today is size matching. A study has shown that receiving a smaller heart can be cataclysmic. Even a heart from 5-foot-2, 200-lb female going to 6-foot-2, 200-lb male probably isn’t going to work. We need to create tools to evaluate sizes and determine if a heart transplant will work. Before joining Northwell, I led a study that developed a modern data series that incorporated and predicted heart mass for size matching. If I get a call about a potential donor heart at 2 a.m., I can quickly insert the data into a spreadsheet and calculate whether the heart is the right match. The study found that if you go by predictive heart mass and not weight, you will definitely minimize the risk of primary graft dysfunction. An unfortunate yet silver lining of the devastating opioid epidemic has been its impact on organ transplants. It simply has made more organs available for transplantation. Last year, according to UNOS, there were a record 36,500 overall organ transplants, 13 percent of which came from opioid overdose deaths. In 2017, nearly 18 percent of hearts transplanted came from those had died of drug intoxication, which was a 1.5 percent increase from 1999. Here in New York, we are in the epicenter of the crisis and three out of every four heart donor offers I get are drug cases. Despite the organ most likely containing hepatitis C, it is a very viable organ thanks to direct-acting antiviral medications eradicating Hep C about 99 percent of the time. This is a game-changer for heart transplants. It’s a sin not to use these organs if everything else if good. Brian Lima, MD, is Northwell Health’s director of heart transplantation surgery. He is a renowned leader and recognized authority on advanced heart failure, heart transplantation and surgically implanted mechanical circulatory support devices that for people with advanced heart failure. Opioid overdose deaths were a catalyst to a record 36,500-plus organ transplants in the US last year. Are these organs safe?